Cocaine use is “booming” on the island, the drug being readily available and higher disposable income making it more affordable to party-goers, according to police sources and a leading narcotics expert. A recent report by the EU’s drug agency noted an average fourfold increase in seizures of the popular party drug on the island in recent years, pointing to a growing trend of use. Drug squad and Paceville-based police officers told the Times of Malta the tell-tale signs of cocaine use were all over Malta’s main entertainment mecca. “There is definitely a cocaine boom at the moment. We are seeing a return of the substance. Not that it ever really went out of fashion but now there is clearly more use. It is all over the place,” a police officer said, insisting on anonymity. What the police looked out for were signs of twitching noses and revellers heading to a nightclub’s bathroom stall together to snort the white powder. The number of cocaine-related arrests was rising, police sources said. Drug expert Godwin Sammut said he too had noted an increase in the substance in recent months. Tasked with testing drugs seized by the authorities, Mr Sammut said cocaine had become increasingly commonplace in the hauls taken to his lab. Although he could not say why this was happening, he noted that trends among drug users indicated that synthetic drug substitutes were also on the rise. 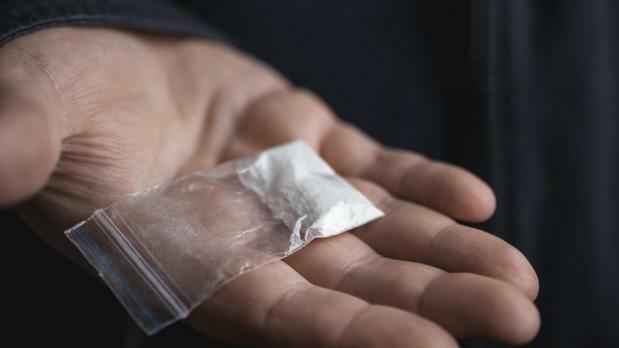 Sources told the Times of Malta the average street price of cocaine had dropped in recent years as availability grew. In some instances, ‘cocaine’ that sold at cutthroat prices was actually a synthetic copycat or heavily diluted with adulterants like dentistry drug lidocaine, they pointed out. The holiday season is an especially popular time for the drug. The sources said some drug dealers had practically sold out their merchandise as they were flooded with text messages and phone calls in anticipation of the New Year festivities. When contacted, the police said it was too early to say how many, if any, drugs had been seized on New Year’s Eve. According to the European Monitoring Centre for Drugs and Drug Addiction, Malta is one of several countries in the east and south-east of Europe where the overall number of drug-related deaths is “very small” and, consequently, trend analysis of cocaine-related deaths is difficult. Despite this, the agency noted that there had been some signs of a rising trend in this too. A study of Malta’s sewage system showed that about 10 grams of cocaine were flushed down the toilet every day. A scientific analysis of pre-treated sewage water found that Maltese sewers contained as much cocaine per inhabitant as Porto, where drug use is legal, and 10 times the amount in Athens. The analysis used technology applied in urine drug tests to identify the amount of benzoylecgonine, the chemical present in cocaine users’ urine, per thousand people per day. The results showed that some 100mg of the active ingredient was flushed daily along with urine for every 1,000 Maltese. The amount of cocaine ingested, however, was actually substantially higher, as the report notes that the benzoylecgonine that ends up in the urine only amounts to about 45 per cent of the actual cocaine snorted. The rest of the drug is converted into other substances once ingested and does not show up on the test.